Why become a dentist? For many, the answer is “to help people.” For Dr. Greg Prior, the answer goes back to when he was a child. As a child, he was looking for new adventures and learning about taking calculated risks. Unfortunately, sometimes you learn the hard way. A young Dr. 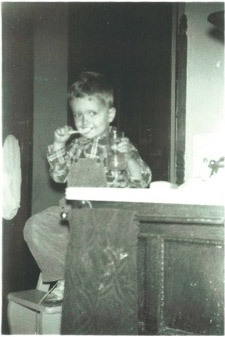 Prior exhibiting his life-long passion for dental care. One day he took a fall from a highchair and broke his neck. It took several months before doctors finally diagnosed the real cause of his discomfort in his neck and jaw. When issues are not found and treated promptly, they can have lasting effects. 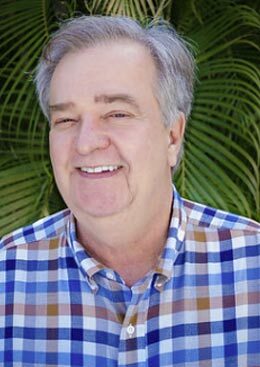 As Dr. Greg grew, he continued to have issues with restricted jaw movement and muscle pain. These challenges influenced him to pursue dentistry as a profession in order to spare others the frustration caused by untreated issues, especially with respect to malformation of the jaw, teeth, and mouth. Oral health is a life long journey. I have learned that an informed and enlightened patient makes excellent decisions regarding their oral health and that partnering with a trusted guide is their best assurance of staying on their chosen path. I’m privileged to work with a knowledgeable team who share this same simple truth and who also go the country mile to ensure that the quality dentistry our patients receive is matched by a truly exceptional level of customer service.